You can apply for the YBM’s Bourse de démarrage de cabinet (“Law Firm Start-Up Bursary”) any time. However, please note that the bursary is awarded once a year at a date to be decided on by the YBM. Regardless of when you submit your application, it must respect the eligibility criteria at the close of nominations. 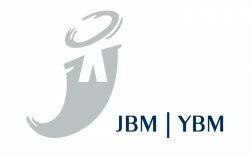 Over the last years, more and more lawyers have been turning to the YBM for help in job placement. Aiming at providing support to its members and encouraging young lawyers to excel, the YBM has set up a Programme de bourse de démarrage de cabinet (“Law firm start-up bursary program”). The winner of the program will receive not only start-up capita, but also quality products and services to succeed in the project. Thus, this program helps to meet the need by encouraging young lawyers, who are willing and competent enough, to try out their entrepreneurial abilities with the YBM’s support and assistance. The mission of the YBM’s Programme de Bourse de démarrage de cabinet is to promote entrepreneurship and support the next generation of lawyers. It focuses on encouraging creativity and best law practices as well as stimulating employment and the financial independence of young lawyers by helping them to start their own law firm. Furthermore, the programme de Bourse de démarrage de cabinet creates an incentive for keeping lawyers in pratice by encouraging them to launch law firms offering legal advice in the judicial district of Montréal. The candidates must start their first law firms offering legal advice in the judicial district of Montréal. The law firm cannot be affiliated with a previously established or existing firm. The firm must be established on the day of the official opening of the competition at the earliest and 180 days after the awarding of the bursary at the latest. The closing date of the competition for the next 2019 bursary was September 21, 2018. An established law firm is a firm running an organized professional activity in accordance with the provision of legal services set out in the Act respecting the Barreau du Québec. The winners must use the bursary products and services within 365 days following the law firm start-up. Otherwise, the partners may cancel their offer of products and services. The YBM cares about giving back to its members. This is why it has committed to award $ 5,000 to the winner. *Certain conditions apply to $5,000 award. For more details, please see the rules. The YBM would like to thank the Bar of Montreal for its continued support, making every project a success. $7,95 x 12 = $95,40 Fixed monthly fee of $7.95 (you save $14 on standard plan fees) including unlimited transactions, using any access method, personalized cheques, drafts and money orders, cheque certification and many other services. Platinum credit card $169 + carte conjoint $50 A credit card offering a rewards program. You can collect up to 2% of your purchase in BONUSDOLLARS 1 and turn them into trips, gift rewards, show tickets, Desjardins financial products and services, or donations for non-profit organizations. You can also get an additional 1% rebate on annual purchases above $20,000 to maximun of $800 a year2. A selection of SocieTerra Funds and Portfolios $1,000 (a cash amount invested in the product, the winner can withdraw it) Quebec’s first socially responsible investment, SocieTerra Portfolios contribute to positively promote environmental, social and governance practices of the companies held in the portfolios. $23.95 x 12 = $287.40 $ Flat monthly fee plan of $23.95 including 30 automated transactions, management fees, a monthly statement (cheque not returned), bank confirmation by AccèsD Affaires, as well as night deposits. Payment solutions A free payment terminal, file creation and installation free of charge – $ 100 value Simple, money-saving payment solutions which accept credit and debit cards. Perfect for small businesses and professionals who are looking for basic countertop equipment, this terminal is offered at $0 file creation and installation fee, a total value of $100. VISA Desjardins Business Card $60 Charging all of your business expenses on Visa Desjardins Business Card, you benefit from its Business Savings Program which offers 1% cashback once annual purchases reach $12,000. Maximum cashback of $4,880 per year and traval insurance starting from $3.75 per month per card. 1. BONUSDOLLARS is a registered trademark of the Fédération des caisses Desjardins du Québec. 2. Purchases made on the Visa Desjardins Platinum card account must reach CAN$20,000 before being eligible for the 1% cashback credit. The 1% cashback credit applies to annual purchases up to a maximum of CAN$100,000 per account. The maximum annual cashback amount is CAN$800. The 1% cashback credit is applied to the account on the anniversary date of the card issue. If the account is closed prior to the account anniversary date, the credit will not be granted. If the cardholder’s account is more than 90 days past due or the Visa Desjardins annual cashback credit and no credit will be granted. 3. Once annual company purchases reach $12,000 and up to $500,000 for the Business card or cards, a credit equivalent of 1% of these purchases will be deposited in the company account, once a year on the anniversary date of the account. The maximum cashback is $4,880 per year, Cash advances, Visa cheques, AccordD Business financing transactions conducted at a caisse, interest charges, returned goods, administrattion fees and other fees not related to purchases are excluded. If the account is closed prior tothe account anniversary date, tje credit will not be granted. if the cardholder’s account is more than 90 days past due or the Visa Desjardins Business card has been cancelled by the Fédération, the cardholder loses the right to the cashback credit and no credit will be granted. The first socially responsible investment solution in Québec, SocieTerre portfolios make a contribution change the environmental, social and governance practices of the companies that make them up. Legal Tools - SOQUIJ - One Year Membership in "SOQUIJ dès aujourd'hui"
The SOQUIJ program today offers young lawyers at the beginning of their career financial assitance for the use of the Company’s legal information search and update tools. It is available to all trainees and new registrants of the Order of Bar of Québec and the Chamber des notary du Québec. Antidote brings together in a coherent whole a new generation corrector, rich and complete dictionaries and detailed linguistic guides. These multiple works are not simply tackled together: they interact intelligently to help explore all aspects of a language issue. Individually, each of these works rivals the best in its category. Together, they have no equal. Antidote is the modern, fast and practical way to write a French without fail and with the right words. If your website leaves something to be desired, your readers will be put off. To ensure its quality, Druide designed the WebElixir service. WebElixir scans your site periodically and analyzes all text and links. After each course, WebElixir sends you a quality report by email. Access its web interface for detailed results. You have nothing to download, nothing to install: enter your URL, and go! The CAIJ offers a $ 500 voucher applicable to the search service, as well as a $ 100 recharge for printing and photocopying at the CAIJ library. A simple billing and financial management system to use. Get the best solution for users of JurisEvolution on the Web to ensure the security of your legal files and all your critical data: a backup of your data is done alone once a day and a full copy is automatically made on remote and Canadian servers encrypted. Thanks to our flexible, restart and independent structure, our graphic design studio brings its talent and expertise to companies and communication agencies. We put all our know-how in the creation of visual identities, the conception of web sites and the realization of all printed and multimedia communication media. To help the young lawyer start his new practice, Lexop is pleased to offer him unlimited access to sharing and notification features. As part of the Firm Start-Up grant program, Financière des avocats wishes to show its support by donating a $ 500 gift certificate to Best Buy at no cost to the recipient of the Start-Up grant program. AABC is a multi-purpose information center for all your protection needs. For over a quarter of a century, we have offered a wide range of insurance products tailored to the specific needs of members of the legal profession, law firm employees and their families. Erika Eriksson produces, to order and custom, toges, flaps and other clothing (vests, jackets, skirts) for lawyers. As part of the Office Start-Up grant Program, Erika Eriksson offers the recipient a toge and basic flap to start her litigation career. Sisca Business Solutions Inc. has been in the printing business for more than 10 years and is a leader in the printing of business documents. At SISCA, we integrate the latest technological tools into our manufacturing process in order to always deliver to our customers the best possible product. Our growth is proportional to the satisfaction of our customers. Sisca offers free printing of your business stationery so you can start your practice professionally and efficiently. A free subscription to the Quicklaw Québec pass, for your choice, for a period of 12 months. MNP offers one hour of consultation to provide personalized information to your start-up project, including audit services, performance indicators and strategic planning. Wilson & Lafleur offers a gift certificate of $ 1,000 for the books available at the Librairie Wilson & Lafleur. Looking forward to making images to match your ambitions! A contribution in product or service is a unique opportunity for your company to establish and maintain your image as a figure involved with the Montreal legal succession. You will enjoy unprecedented visibility with a targeted audience of young Montreal business lawyers. In addition, your company will ensure that you develop a regular customer base with high purchasing power and an interest in your products and services. You want to offer your services or products for free in exchange for visibility ? Contact us for more details. In order to achieve the stated objectives, the JBM Office Start-up grant Program is the subject of an annual competition, in which a fellowship is awarded. Network and support adequate (10 points). An application must be accompanied by all the required documents or the date of the contest closing, otherwise it is automatically declared ineligible. Please refer to the JBM Firm Start-up Grant Program Rules for more information. Find it by clicking here. You will find the Application Form by clicking here. To help you design a business plan, Desjardins provides entrepreneurs an interactive tool. Find it by clicking here.